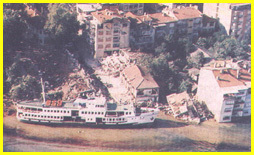 On August 17, 1999, a large destructive earthquake struck northwest Turkey and generated a local tsunami within the enclosed Sea of Marmara. This was the strongest earthquake to strike Northern Turkey since 1967. It occurred along the Northern Anatolian fault. Its epicenter was in the Gulf of Izmit. 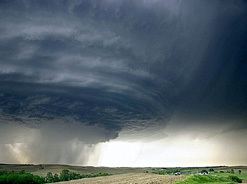 Official estimates indicated that about 17,000 people lost their lives and thousands more were injured. However, it is believed that the death toll may have been much higher. near the town of Gölcük on the western segment of the North Anatolian Fault - which is very much like the San Andreas fault in California. Origin Time: The earthquake occurred at 00:01:39.80(UTC), 03:01:37 a.m local time. Depth: Focal depth was shallow 17 km. (USGS). Magnitude: The Izmit earthquake was measured widely by seismic stations around the world. There were small differences in magnitude determinations. Surface Wave Magnitude was given as 7.8 (USGS); Moment Magnitude was given as 7.4 (USGS; Kandilli); Duration Magnitude: 6.7 (Kandilli). Body Wave Magnitude: 6.3 (USGS), 6.8 (British Geological Survey). Aftershocks: Numerous aftershocks with magnitude above 4 were recorded after the main earthquake. The first of the aftershocks (magnitude of 4.6) occurred 20minutes later. Several others followed in subsequent days. Several days later, on 31 August , a strong aftershock killed one person, injured about 166 others and knocked down some of the buildings that were already weakened by the 17 August main quake. According to the USGS and Kandilli most of the aftershock activity was confined to the region bounded by 40.5-40.8N and 29.8-30.0E, which covers the area between Izmit and Adapazari to the east of the epicenter. 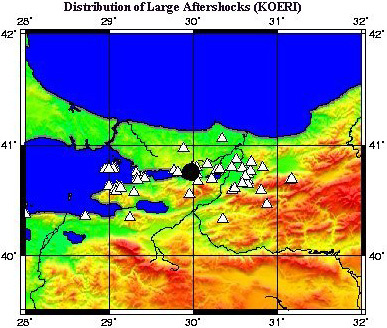 However there was a clusters of aftershocks near Akyazi and near Izmit. The excessive seismicity of this particular region can be explained by current geophysical knowledge of its structural development. 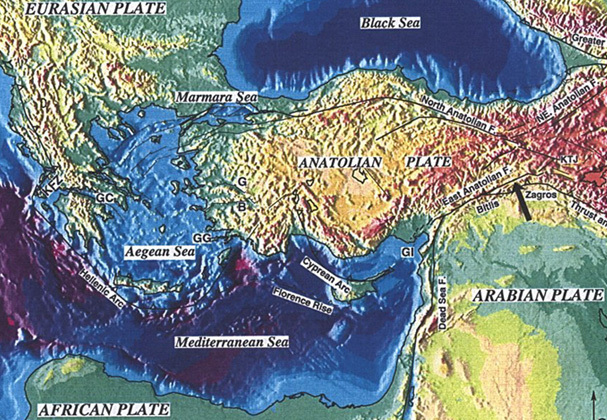 The North Anatolian fault is a major fracture that transverses the Northern part of Asia Minor and marks the boundary between the Anatolian tectonic plate and the larger Eurasian continental block. Because of this unstable tectonic system the area is considered as one of the most seismically active zones of the world. Turkey is being squeezed sideways to the west as the Arabian plate pushes into the Eurasian plate. The north Anatolian fault forms the edge of this Turkish (Anatolian) crustal block so that destructive earthquakes happen regularly along it as different sections break. The Sea of Marmara is an inland sea separating Asia Minor from Europe. It is 280 km (175 miles) long and almost 80 km (50 miles) wide at its greatest width. On its northeast end, it connects with the Black Sea through the Bosphorus Strait. On its southwest end it connects with the Aegean Sea through the Dardanelles. Although its total area is only 11,350 square km (4,382 square miles) , its average depth is about 494 m (1,620 feet), reaching a maximum of 1,355 m (4,446 feet) in the center. The sea was formed as a result of tectonic movements that occurred about 2.5 million years ago, in the Late Pliocene. The region is characterized by frequent earthquakes. 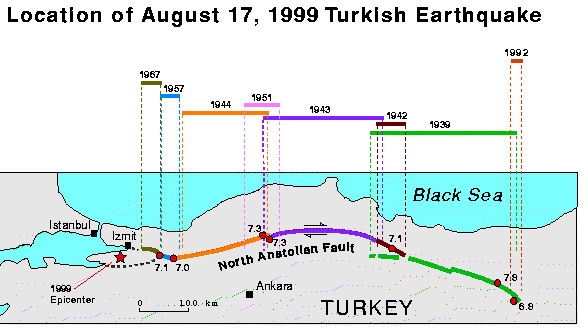 The earthquake of August 17, 1999 occurred along the long, east-west trending, great North Anatolian Fault Zone (NAFZ) - known to be the most prominent active fault system in Northwestern Turkey. NAFZ passes through Izmit Bay, traverses Marmara Sea and reaches the Saros Gulf to the southeast. This great fault system has many similarities to the San Andreas fault system in California. Earthquakes involve primarily horizontal ground motions (strike-slip type of faulting). Numerous large earthquakes have occurred throughout history. The earthquake's surface rupture extended for about 100 km east of Golcuk, but did not continue southeast and did not join the rupture of the 1967 earthquake - the last event in this region. Instead, the rupture turned northeast near Akyazi, where a cluster of aftershocks subsequently occurred. Ground displacements of about 1.5 m were measured in this area. Subsequent field studies, indicated right lateral ground displacements ranging from 2.5-3 m up to 4 m, with a maximum of 4.2 m east of Lake Sapanca. Ground displacements between Lake Sapanca and the Gulf of Izmit were about 2.60 m. Additionally, there was evidence of about 2 meters subsidence along the north side of the fault's block - which was particularly evident along the coastline at Golcuk, where tsunami waves and major flooding occurred. Such tectonic ground displacements are characteristic of major earthquakes along the North Anatolian Fault and, possibly, have been responsible for tsunami generation in the past. Turkey is seismically active. The early historic record shows that in 1754, an earthquaked near Izmit killed about 2,000 people. In the last hundred years, numerous large earthquakes have also occurred along the Northern Anatolian Fault (NAF), in the western part of the country. Beginning with an earthquake in 1939, several more quakes - with Richter magnitudes greater than 6.7 - struck in progression along adjacent segments of the great fault. The August 17, 1999 Izmit earthquake was the eleventh of such a series that have broken segments of the NAF, in both eastward and westward direction. There has been an interesting pattern to this seismic activity. Historic seismic records indicate that between 1939 and 1944 there was an active westward trend in seismic activity - with a resulting surface rupture of 600 km of adjacent fault. Subsequently, the westward trend of earthquakes slowed down. Earthquakes that occurred in 1957 and 1967 ruptured an additional adjacent 100 km of the NAF, but there was separated activity further west during 1963 and 1964. 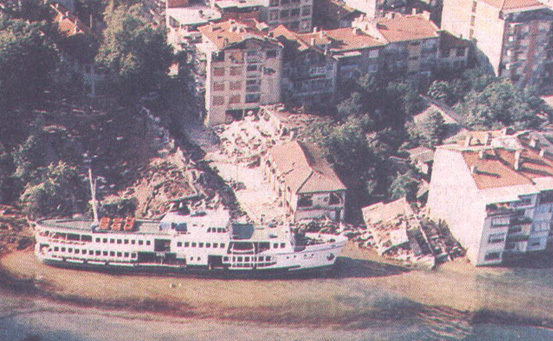 The 1963 event (Richter magnitude 6.3) in the Sea of Marmara, to the west of Izmit, broke a section of the fault and killed only one person. The last strong earthquake (magnitude 7.1) to strike Northern Turkey occurred in 1967. It killed 173 people. A long seismic gap separated the location of the 1967 quake and those of the 1963 and 1964 quakes. Quite predictably, the August 17, 1999 earthquake occurred in this gap, where apparently seismic stress had build up. The earthquake filled in the 100 to 150 km long gap which existed. As early as 1979, this gap had been readily identified by numerous scientists as a potential site for a future earthquake. A subsequent evaluation in 1997 estimated a 12% statistical probability of an earthquake occurring in the 30 year period, from 1996 to 2026, in this region. Obviously, the statistical probability was underestimated as the earthquake occurred much sooner than statistical studies had anticipated. Elsewhere in Turkey, a major earthquake (Richter magnitude 7.1) in 1970 near Gediz - about 160 km (100 miles) to the south - killed over 1,000 people. Its aftershocks continued for several years. In 1998, a less severe earthquake in the south killed 140 people. Was All the Strain on the Seismic Gap Released by the August 17, 1999 Earthquake? It appears that most of the seismic strain along this section of the North Anatolian fault was released by the August 17, 1999 earthquake. However, given the measurements of 1.5 meter ground displacements in the Akyazi area, versus the larger displacements elsewhere, it is quite possible that not all of the seismic strain was released by this event and that some future seismic event will release the remaining strain. This may not happen for many years. The earthquake struck a densely populated residential and industrial area which included the major cities of Istanbul and Izmit. The quake caused immense destruction to homes, apartment buildings, oil refineries and extensive power and communication failures. Izmit - Many apartment buildings in the poorer section of Izmit collapsed burying thousands. Improper building construction was primarily responsible for the high death toll. According to official reports the earthquake killed thousands of people and injured more than 16,000 others. The exact death toll may never be accurately known as thousands were reported as missing. Also, a huge fire at Turkey's largest oil refinery outside Izmit, destroyed several storage tanks. Golcuk - At Golcuk about 500 buildings collapsed leaving about 20,000 people homeless. A Turkish naval base in the port of Golcuk sustained major damage. Reportedly, the collapse of the barracks killed 248 sailors. Although the earthquake involved primarily horizontal ground displacements, slumping and landslides triggered tsunami waves which were particularly damaging in the Gulf of Izmit, perhaps because of convergence and a funneling effect. The long duration of the earthquake's ground motions (45 seconds), the directivity of the surface seismic waves, the proximity of the epicenter to the Sea of Marmara and the Gulf of Izmit, and the overall orientation of the affected area, strongly support that the tsunami was generated in the Gulf of Izmit, in the eastern portion of the Sea of Marmara. The tsunami waves from this earthquake had an extremely short period of less than a minute which also supports the premise that the source was the localized subsidence of coastal areas and the underwater slumping of unconsolidated sediments, rather than larger scale tectonic movements which involved primarily lateral motions. An initial recession of the water was observed at both sides of Izmit Bay immediately after the quake, followed by tsunami waves which had an average runup of 2.5 m. along the coast. Maximum runup was 4 m in Golcuk where there was considerable damage to the naval base facilities. In fact, Golcuk and several coastal areas are now flooded permanently as a result of the tectonic subsidence and landslides. Also, large coastal portions of the the town of Degirmendere remained flooded as a result of subsidence - with sea level reaching the second floors of apartment buildings. Similar permanent flooding, but to a lesser extent, occurred also at Karamursel. Lessons Learned - The lesson learned from this event is that tsunamis can occur in any body of water since a variety of mechanisms can generate them. Even earthquakes involving primarily horizontal ground motions (strike-slip type of faulting) can generate tsunamis by triggering slope failures and underwater landslides. Obviously the tsunami risk for the Sea of Marmara needs to be carefully evaluated. Measures must be taken to mitigate the effects of future tsunamis in the area. Better construction and building codes will definitely help. Numerous large destructive earthquakes and tsunamis have occurred from antiquity to the present in the Ionian Sea, Greece, the Aegean Archipelago, Turkey and the Sea of Marmara - which separates Asia Minor from Europe. Large earthquakes with intensity greater than VIII on the Modified Mercalli scale have caused damaging or disastrous tsunamis - particularly along the Southern Aegean Sea (Pararas-Carayannis, 1992). Most of the destructive tsunamis in the past originated from a region of the Hellenic arc where normal faulting within the southern part of the Anatolian Tectonic Plate (the Aegean plate) is consistent with a NE-SW trending graben along which the Santorin volcanic field has also developed. (Pararas-Carayannis, 1992). To a lesser extent, tsunamis have been also generated along the northeast portion of the Aegean Sea, and the Sea of Marmara. Although most of the earthquakes along the great North Anatolian fault involve primarily horizontal ground displacements - and such tectonic movements do not ordinarily generate tsunamis - some of the earthquakes along the western segment of the fault have triggered major slumps that have generated tsunamis. 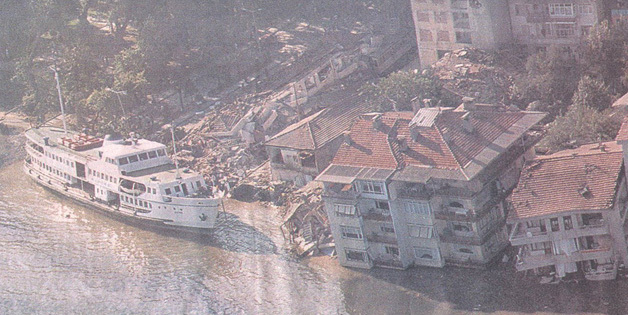 At least 9 major tsunamis have been reported to have occurred in the Marmara Sea in the past (Kuran and Yaciner, 1993). 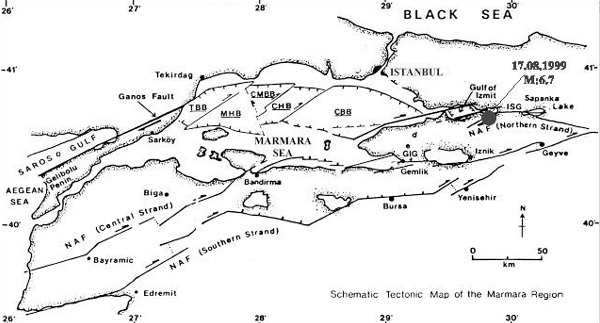 The most recent tsunami in the Eastern Marmara Sea was associated with the 18 September 1963 earthquake. Strike- slip ground movement with a very small vertical component, can indeed generate a tsunami in a closed body of water. A combination of disturbances can be triggered by a large magnitude earthquake and several secondary mechanisms for the generation of tsunami waves are possible. Generative causes may include a combination of tectonic movements associated with the earthquake or major subaerial or underwater slides. Such secondary phenomena associated with a large earthquake can contribute to the generation of destructive waves particularly in an enclosed body of water like the Sea of Marmara. Tsunami generation will depend on the earthquake's energy release, the proximity of the body of water to the epicenter, the physical rupture along the fault, the propagation path of surface seismic waves, and the magnitude and duration of the dynamic, near-field, strong motions. Earthquake ground motions of high intensity could result in strong ground accelerations and the generation of waves in the immediate area of the earthquake (Pararas-Carayannis, 1999). Ground liquefaction can also trigger landslides which in turn could generate destructive waves. It is believed that earthquakes occuring along the Western portion of the Northern Anatolian fault zone can generate destructive tsunami waves in the Sea of Marmara. A number of grabbens, fault offsets and other structural topomorphological features at the bottom of the Sea of Marmara indicate that seismic activity and movements of branches of the North Anatolian fault extend under the sea. Even an earthquake on land or a large aftershock could trigger a landslide in unconsolidated deposits or sediments along the coast. The tsunami danger is more pronounced in the eastern region of the Sea of Marmara and particularly in the Gulf of Izmit. The tsunami risk for the Sea of Marmara needs to be carefully evaluated. Obviously, government authorities will have to do some serious review of what measures must be taken to mitigate the effects of future earthquakes and possible tsunamis in the area. Better construction and building codes will definitely help. The potential for tsunami generation in the Sea of Marmara is substantial. Ross S. Stein, Aykut A. Barka and James H Dieterich, 1996. Progressive failure on the North Anatolian fault since 1939 b earthquake stress triggering, Geophysical Journal International, Vol. 128, 594-604, 1996. 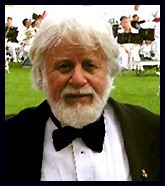 M. Nafi Toksoz, A.F. Shakal, and Andrew J. Michael, (1979). Space-time migration of earthquakes along the North Anatolian fault zone and seismic gaps by , Pageoph, Vol. 117, 1258-1270, 1979. Earthquake Information from Bogazici University, Kandilli Observatory and Research Institute. Pararas-Carayannis, G., 1992. The Tsunami Generated from the Eruption of the Volcano of Santorin in the Bronze Age. Natural Hazards 5::115-123,1992. 1992 Kluwer Academic Publishers. Netherlands. Pararas-Carayannis, G.,1999/ The Earthquake of September 7, 1999 in Athens, Greece. Additional documentation of the August 17, 1999 Turkey Earthquake can be found at the following web sites.